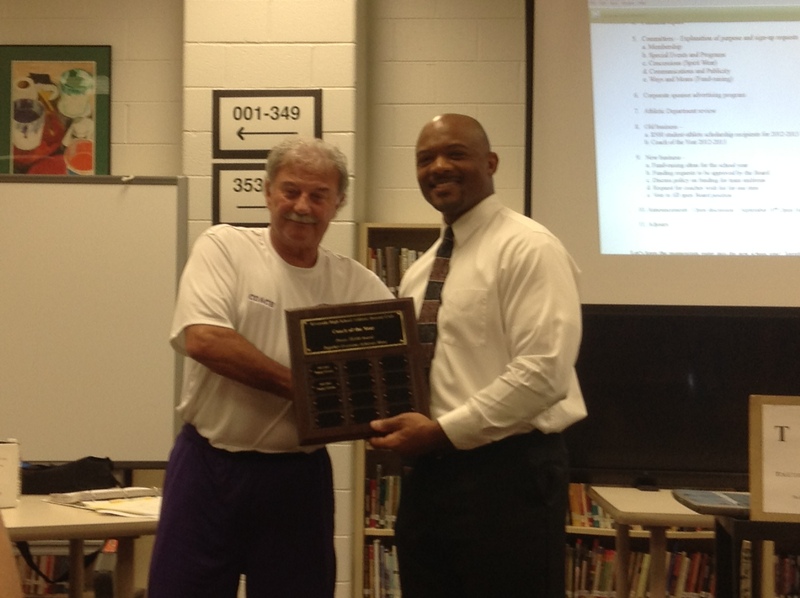 Coach Toppy Green (Men and Women's Soccer Teams) is presented the Booster Club Coach of Year Award for the 2012-13 school year by President Richard Burton. Coach Green won this award for the second consecutive year. 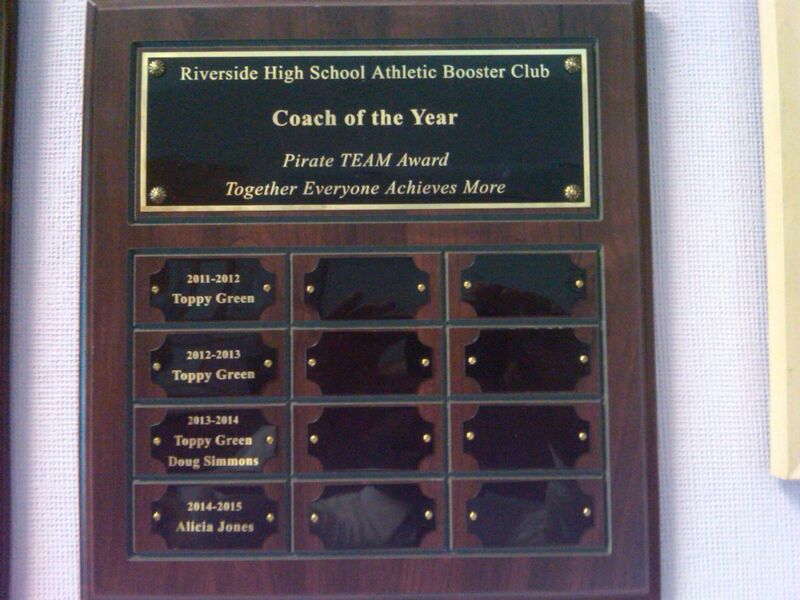 The Coach of the Year Award is voted on each May by Riverside's coaching staff.